Startup Tea Talk (svtea) is looking for a part time person to help the producing and operation of Startup Tea Talk. 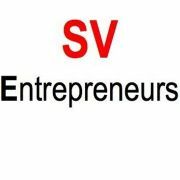 Engage with amazing investors and founders in the valley! Startup Tea Talk hosts a series of event every month with a group of communities to help and inspire startups founders. Pls email i@svtea.tv to apply. Please include your event preferred location and availability.